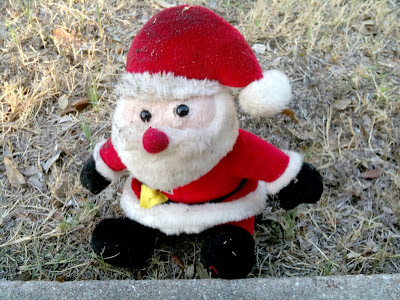 I found this dirty santa on my walk today. I wondered how long he had been there. He was waiting for you. H.
And I was expecting Billy Bob Thorton when I saw the title. Boy, was I surprised - for the better. Saw the movie. Prefer your pic.